Today I feel sick. Sore throat, stuffy nose, lethargic brain… you’ve felt it before. So while I will continue the story of my Mediterranean Trek later, today I would like to share what to do when illness strikes during travel. 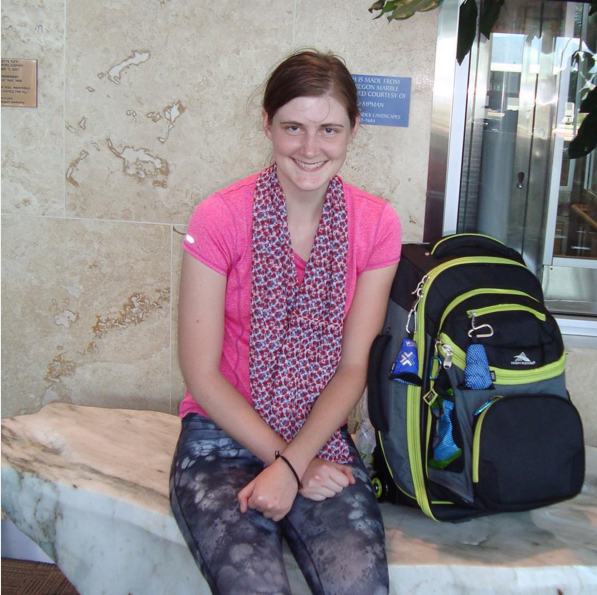 I was sick twice during my Mediterranean Trek. The first one happened before I was even two weeks into the trip. On my last full day in Paris, I watched Le Tour de France in person! To keep my good viewing spot, I had to stand there all day, no matter what. This also happened to be the only day during my time in Paris that it was cold and rainy instead of hot and muggy. Needless to say, I caught a cold. Even worse, I had to take a 17-hour bus ride the next afternoon. That bus dropped me off in Madrid the next morning several miles away from my hostel, and I walked there. I arrived at UHostels sick and tired, despite wanting to go out and see the city. I got sick again about a month later. I had just arrived in Venice earlier that day. For dinner, I went out to get a pizza, and then found a place to eat it. I noticed that I didn’t have much of an appetite, but didn’t reach too much into that. A little bit later, it struck. I had an awful stomach bug, possibly even the flu. I had only booked two nights in Venice, and both of those days were spent either in the bathroom or in bed. Pack a few of these items with you in case you get ill during your travels, or otherwise ask the front desk of your hotel or hostel for nearby places to buy these items. -Diphenhydramine: Better known as Benadryl, I carried this around mainly for allergic reactions. But it turned out to be very beneficial as it was the only reason I was able to get any sleep when I had my cold. It can cause drowsiness, so it’s usually best to take it at night. –Traditional Medicinals Herbal Tea: A hot beverage usually makes everything better, but this brand of herbals simply cannot be beat. Gypsy Cold Care was a great flavor during my cold, and Ginger Aid helped my stomach during the recovery process. Just add hot water! -Extra Privacy: My sleeping arrangements during my cold included sharing a bus with fifty other people and a hostel dorm room. Although my stomach bug was even worse, it was nicer to deal with that in the privacy of my own hotel room with ensuite bathroom! It was very coincidental that I happened to have that bug on the only two days that I had booked a private hotel room. But if you can afford it, there’s often the option to upgrade to a private room, or even a private ensuite room. -Gatorade: This was one of about four beverages I bought during my entire trip, but it was oh so worth it! Since I was staying just a block away from Venice’s main tourist spot, St. Mark’s Square, there weren’t very many real grocery stores nearby. I was dizzy, overheated, and tired, so I just went to the closest beverage sales I could find and bought an overpriced bottle of Gatorade. The next day, I was feeling better, but still needed to rehydrate and be gentle with my stomach. I walked further and found a real grocery store, where I got a bottle of Gatorade twice the size for half the price! -Saltine Crackers: I found these in the same grocery store as the Gatorade. (I tried eating rice crackers from a snack shop the day before, and that wasn’t too bad.) For some reason, in Italy, they only sell saltines in packages of extra large or extra extra large. That was fine by me, as I lived off of them for the next week! -Rest: This one was hard for me to do all the time, but it’s helpful in both preventing illness and getting better. Sometimes annoying roommates interrupt your sleep. Sometimes there’s something happening that you’ll want to stay up late or wake up early. Sometimes the excitement of being in a new city just makes you want to go out there and get exhausted from a full day of discovery! Do whatever it takes to suppress your urges enough to get some decent sleep every night. -Flexibility: All travel plans have some degree of flexibility. While going from Paris to Madrid, I couldn’t make changes in travel plans due to my tight schedule and tight budget. But I did have more control once I got to Madrid. I could stop to rest whenever I felt it was necessary. In Venice, I had more flexibility as I hadn’t yet made reservations for my next destination. On my checkout day, I booked two more nights in a downgraded room so I could actually enjoy all the city had to offer. Just thinking about all the resources I have to help with recovery is making me feel better already! I was able to get better from both illnesses in the Mediterranean in just a couple of days, so here’s to hoping I can heal just as quickly at home! What’s your secret to recovering from illness? Touchdown. Just one day before, I had left Medford, Oregon, United States, for the biggest journey of my life. (The biggest journey so far, that is!) From there I took a typical flight to Salt Lake City, and then came the big jump all the way to Paris. Now there I was, my feet in Europe for the first time at the Charles de Gaulle airport. I wove through the maze of hallways and directions, passed customs, and then tried to navigate to the pick-up location of my bus. 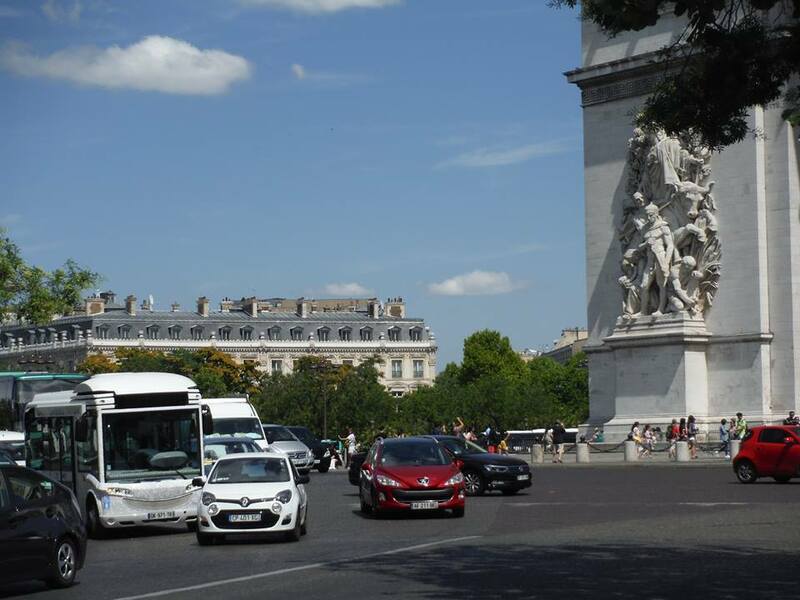 From my research, I knew most cost-cutting visitors to Paris took the metro into the city, but I had done a bit more research and found a company called EasyBus that would drive me into town for just a fraction of the cost of a metro ticket. The problem was, every sign I passed had an arrow pointing toward the metro, but there was no indication of where the EasyBus pick-up point was! As I continued to walk, I noticed a Visitor’s Center that sold the Paris Museum Pass. I knew I wanted to buy one of those anyway, so I stopped there and got some extra free information, like a city map and, thankfully, directions to EasyBus. The funny thing was, if I had walked just a little bit further, I would have found it! The little bus was there, but the driver wasn’t, so I stood around waiting with others for the official departure time. 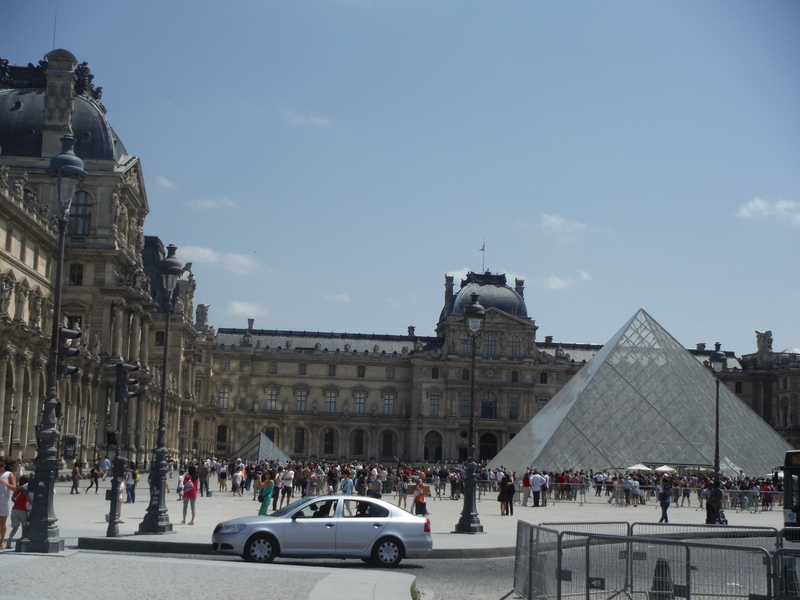 My first European photo: The Louvre! The ride into the city wasn’t that interesting; just a typical freeway. Things got interesting once the bus dropped me off. The only downside of using EasyBus was that they only had one drop-off point, which was two miles away from my hostel. That was no problem, since I had plenty of practice walking around my neighborhood with my backpack for this very purpose. Unfortunately, since Paris has a unique layout that allowed me to easily get lost, I ended up walking a whole lot more than two miles! When I pulled out my GPS and tried using the Europe map for the first time, it had some problems adjusting. So I relied on my paper map, but even that got confusing. Cities often have a north-to-south, east-to-west layout, or at least something pretty close to that. Paris has a spiral layout. This made it a bit trickier to get to my hostel, and I walked a lot further than I needed to. But I made the most of it by seeing my first famous European sights: The Louvre, Seine, Eiffel Tower, and Arc de Triomphe! A hard roundabout to get around: The Arc de Triomphe has twelve different streets shooting out from it! After about a zillion wrong turns and who-knows-how-many miles (or kilometers), I made it to my hostel, BVJ Champs-Elysees Monceau. While it was difficult to find the hostel, fortunately it wasn’t nearly as difficult to find an ATM and a money changer on my extended walk, so I paid for my bed and then found my room. I shared this room with six other girls, with a connecting room with ten more beds. Way better than my accommodations the night before (sleeping on the airplane)! At this point so early in my trip, I didn’t care how many people I shared a room with. In the past when I’ve gone on a trip that involved staying at hostels, I tired myself out from doing so much during the day, so I would just crash at night regardless of the noise or lights. This would serve true for Paris, but when you travel for 92 days straight, those annoyances do end up affecting your sleep as your body gets accustomed to so much walking. Speaking of walking, that’s exactly what I did next. 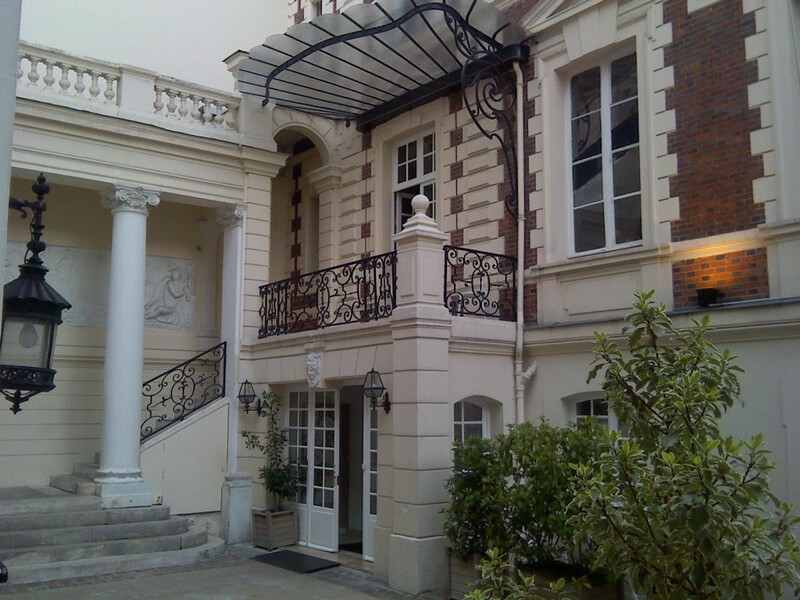 The hostel used to be a mansion owned by a Parisian artist. While not quite so uppity anymore, it still has some of its fanciness! After a quick break of making up my bed and detaching my daypack from the main bag, I set out for Paris once again. I walked through half of the Champs-Elysees to see what stores were there, stopping at a perfume store and several auto showrooms. I then went in search of a crepe. It took awhile, but I found a creperie in front of the Eiffel Tower where I got a concoction of Nutella and banana. I sat down to eat near a water feature that lots of kids were playing in, and realized that I needed to figure out how to change my phone’s clock to make up for the nine hours I lost on the flight over. There would be a lot I would need to figure out on the verge of this three-month journey. I’d need to figure out how to make phone calls using apps and WiFi, and when to call so I wouldn’t wake people up at home in the middle of the night. I’d need to figure out the value of a Euro, and how to get the maximum experience while staying in my budget. I’d need to figure out how to best communicate in places where I may be the only native English speaker. I’d need to figure out how to plan the future legs of my trip while still enjoying the place I was. I’d need to figure out what was really worth keeping, and what extra pack weight I would regret. I’d need to figure out which of my five outfits to wear next, since I was still wearing the same clothes I left the United States in the day before. I’d also need to figure out how to get a lay of the land, not only for Paris, but for all the other cities I would head to later on. 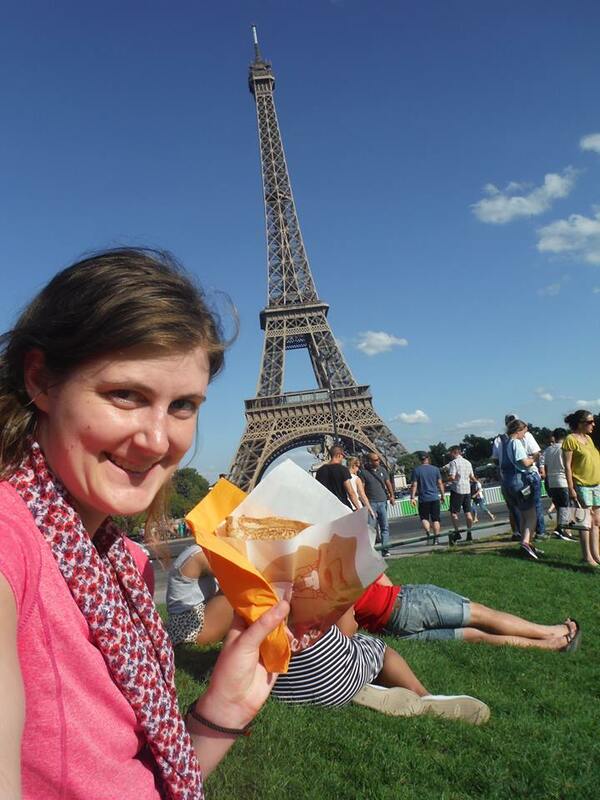 A crepe with a view! At this point in time, I didn’t think it was possible to get sick and tired of Nutella. Spoiler Alert: it is! But this was just the first twenty-four hours of my trip. Everything may seem so foreign now, but as I learned more about life, it would become my life. I can’t even begin to go through all that it took to actually get me to the Mediterranean, although many older blog posts here are dedicated to just that. As I looked back, it seems like these first twenty-four hours, July 16th and 17th, were so long ago. They couldn’t possibly be part of the same trip that ended in Istanbul, could they? And was I the same person back then as I am now? My plan over the next several weeks is to recount the entire trip. I won’t go as in-depth with the other days. I’ll probably have one or two blog posts for each destination, so most posts will cover up to at least a week instead of just one day. But the first day of a new journey is always memorable, because so many thoughts are going through your head. A lot of new thoughts are going through my head now, albeit different kinds of thoughts. I gave up a lot in order to pursue the Mediterranean Trek, and now I’m working on rebuilding that. A year before my trip, I gave up my apartment, my car, and my full-time job so I could move in with my parents, borrow their van, and work several part-time jobs. Over that year, I did without a lot of things, like keeping my outdated and literally-falling-apart computer instead of getting a new one. (I’m actually writing this using the same janky laptop, praying it doesn’t crash without saving my work and having to adjust the screen every few minutes since it can’t stand on its own anymore!) Now that my goal of backpacking the Mediterranean has been accomplished, it’s almost as if I have too many options now! I ordered a new computer, and I’m searching for a job, car, and place to live. And while this is what I need to do and want to do for the time being, secretly, I may be dreaming up what my next big adventure will be!